Well its safe to say the "paint everything in sight" bug has left me. I'm a very passionate person but sometimes so much so that I burn myself out easily. After non stop painting this summer I finally hit a brick wall, the wall of "No Inspiration" (even though I was surrounded by TONS on Pinterest and my favorite blogs). However where I'm from the weather does not wait for us to have inspiration or not and I knew that if I didn't get on the ball the rest of my pieces would soon be covered in...you guessed it snow! Hopefully not too soon but I still have quite a few pieces to finish. 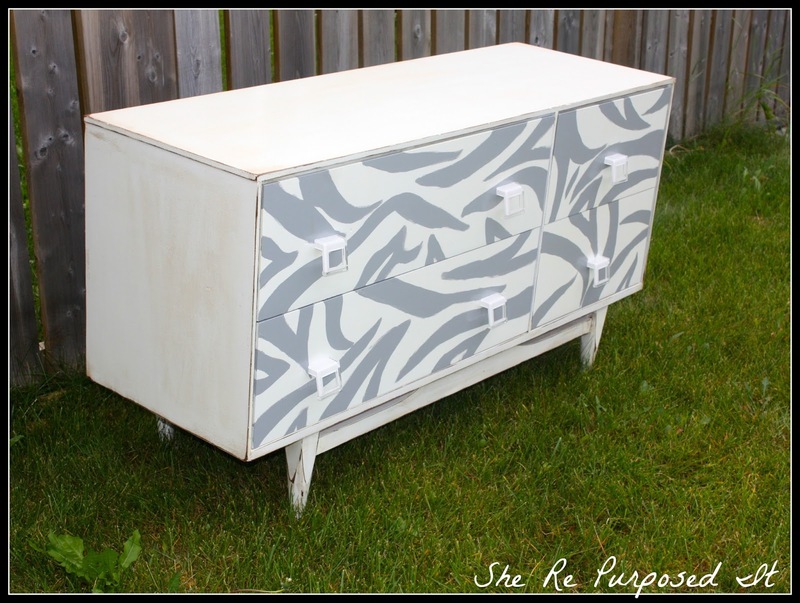 With that in mind I decided to paint my next piece, a beautiful low dresser with big and small drawers-I really liked that about it! I opted to change out the hardware for some new modern ones I scored at Ikea a few years back. 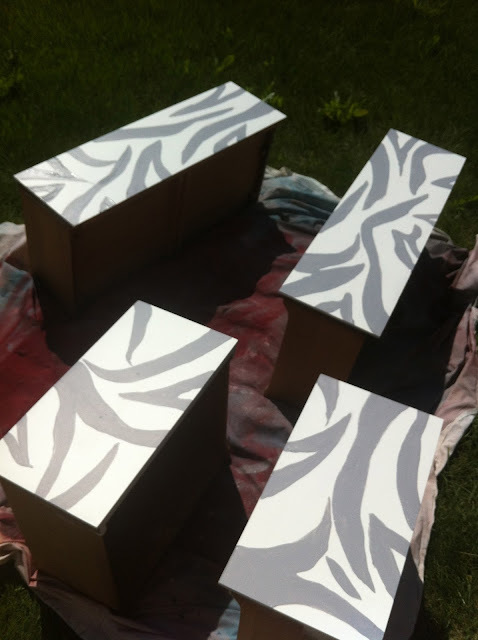 After a few coats of white I grabbed my artist brush and did a freehand zebra design on the drawers. The outside was done in the same white, then distressed and coated in a dark wax. 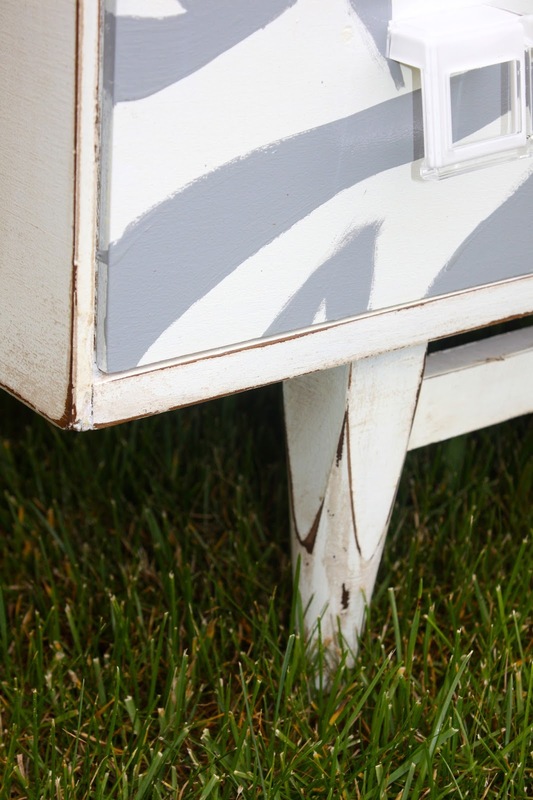 I love the contrast of the modern drawers and chic hardware with the shabby chic looking body and legs. This piece is now filled with character. Now on to the next piece before the snow flies.